← When they flip the 5G switch on the “Internet of Things”, everything changes instantly! 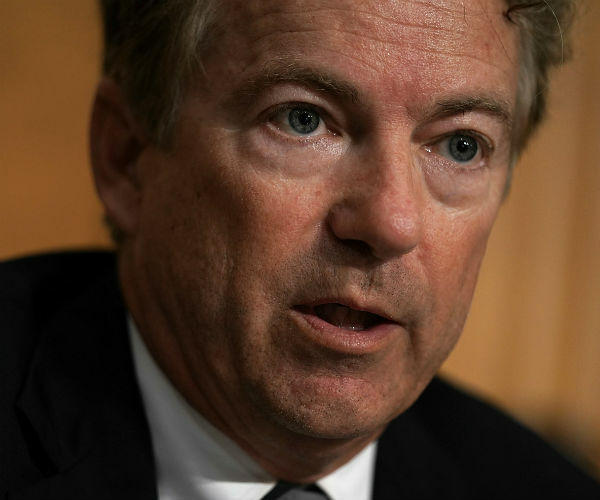 It is an “affront” to President Donald Trump and his office for House Speaker Nancy Pelosi to ask him to postpone the State of the Union address until after the government shutdown ends, Sen. Rand Paul said Thursday. The Senate, however, has just 100 individual seats, but with the Gallery open, the House members attending could be accommodated, Paul said, but at the same time, it’s not Pelosi’s place to say who speaks in the House, as it’s “the people’s House,” not hers. Paul on Thursday also discussed, on both Fox Business and “Fox & Friends“, his idea for stopping future shutdowns. “It’s called the Shutdown Prevention Act,” said Paul. “What it does is this: if Congress has not passed their appropriation bills on time and the government’s going to shut down, the money keeps being spent, but at a one percent cut across the board for everything. He said if Democrats refuse to vote for his bill, it shows they aren’t serious about ending the current shutdown or preventing further ones.